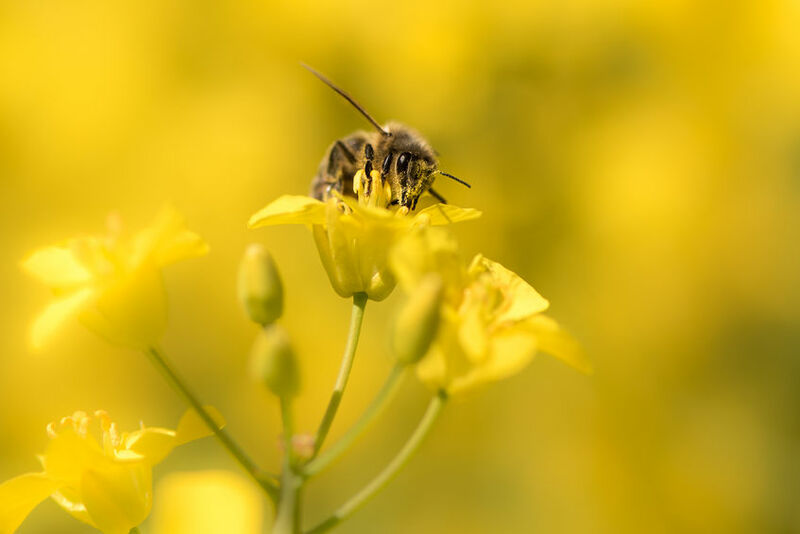 EU member states have voted for proposals to enforce an almost-complete ban on the use of neonicotinoid insecticides across the EU. On Friday morning (27 April), the European Commission asked member states to vote on a proposal to widen the ban to cover all crops grown outdoors, compared to its previous ban on flowering crops, spring-sown cereals and maize. Member states voted in favour to enforce the almost complete ban on neonicotinoids, the most widely used class of insecticides in the world. However, growers will still be free to use neonicotinoids in greenhouses across the EU. Since December 2013 three neonicotinoid pesticides - imidacloprid, clothianidin and thiamethoxam - have been banned for use on crops attractive to bees in the EU. The restrictions were imposed after a previous report by European Food Safety Authority (EFSA) concluded that they posed a "high acute risk" to honey bees. The UK government has overturned its previous convictions on neonicotinoids and now say an outright ban is needed. Last year, Defra Secretary Michael Gove said a total ban on the pesticide in fields across Europe will now be backed by the UK. “The weight of evidence now shows the risks neonicotinoids pose to our environment, particularly to the bees and other pollinators which play such a key part in our £100bn food industry, is greater than previously understood,” Mr Gove told The Guardian. German agri-chemical giant Bayer said today's decision will "further reduce European farmers' ability to tackle important pests, with no alternative treatments available to do so." Bayer said it remains convinced that the restrictions are not warranted. It says neonicotinoids are safe when used in accordance with the label instructions. The agri-chemical company said legislative measures are being implemented without a prior thorough impact assessment. In a statement, Bayer said: "There are other, better ways to support pollinator health - such as increasing pollinator foraging options or natural habitats and more efficient control of the varroa mite - than banning substances that have helped farmers effectively manage a broad range of significant pests." However, the European Commission says it closely monitors the possible relations between bee health and pesticides and is determined to take the most cautious approach possible to protect bees. Environmental charity Friends of the Earth has described today's decision as a "major victory for science, common sense and under-threat bees." Sustainable farming organisation the Soil Association said the decision is welcomed, saying that "overwhelming evidence can no longer be ignored". Peter Melchett, Soil Association Policy Director, said: “The clear evidence of neonicotinoids’ harm to pollinators, and to wildlife in general, has been mounting for some time. “Almost all of the toxic neonicotinoid spray gets into the soil rather than the crop, and from there to wild flowers and hedges around the edges of fields." Neonicotinoids are active substances used in plant protection products to control harmful insects. The first neonic was approved in the EU in 2005.